Florida Railroads And Railfanning In "The Sunshine State"
Florida railroads are as sunny and bright as the Sunshine State itself. While Florida may feature a rather low-grade profile with little mountainous terrain, thus making railroad operations there "less dramatic" than in other states like Pennsylvania or California, the state's interesting diversity of operations and usually fantastic weather make it worth the trip. Florida also has had quite an interesting history trains as most of the South's classic lines operated there such as the Atlantic Coast Line, Seaboard Air Line, and the Florida East Coast. In any event, whether you are interested in commuter trains, high-speed freight trains, or short line/regional railroads the state of Florida offers all of these today. Finally, just so that you are aware, the article here provides various links throughout, which will take you to other pages here at the site which are related to the state's rail history (such as fallen flags, railroad museums, excursion trains, etc.). 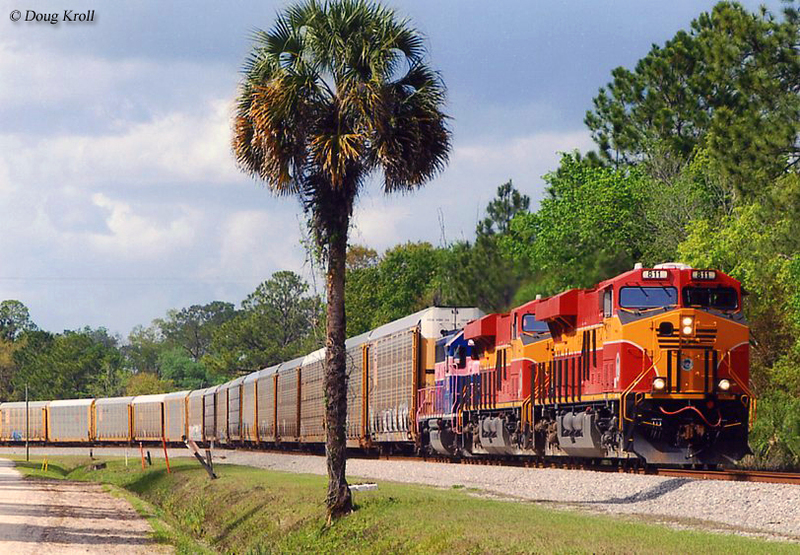 Florida railroads date back to nearly the beginning of the industry itself. In 1834 the little mule-powered Tallahassee Railroad was chartered by the state of Florida to build a 22-mile line connecting Tallahassee (the then capitol of the Florida territory, before it was actually a state) with St. Marks, a Gulf Coast port town. Two years later, by 1837 the line had been completed and was in operation. The railroad would eventually become part of the Seaboard Air Line system and would remain in operation through the Seaboard Coast Line merger and even after the formation of the Seaboard System in the early 1980s. However, in 1983 the Seaboard wished to abandon the line and today much of the route is preserved as the Tallahassee-St. Marks Historic Railroad Trail State Park. In any event, not long after the Tallahassee Railroad opened, Florida's railroad network began to grow rapidly and by 1880 boasted over 500 miles of track. 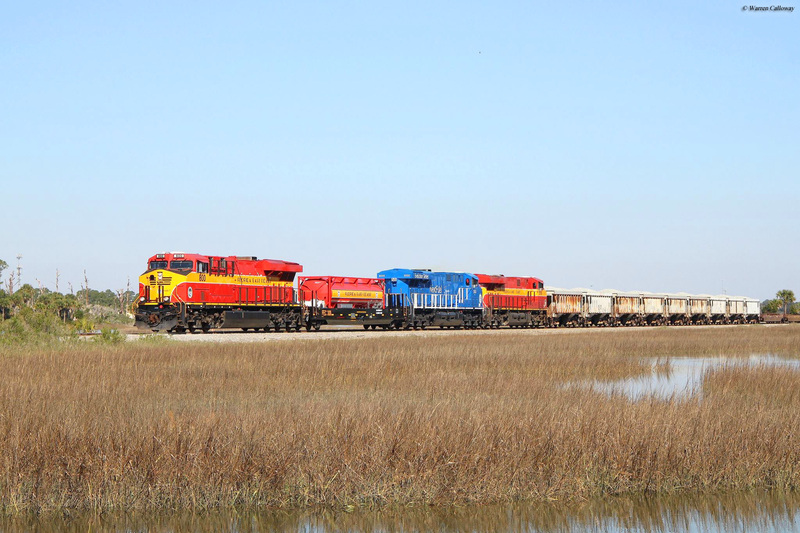 During the industry's heyday, Florida was home to six major railroads, one of which is still operating. 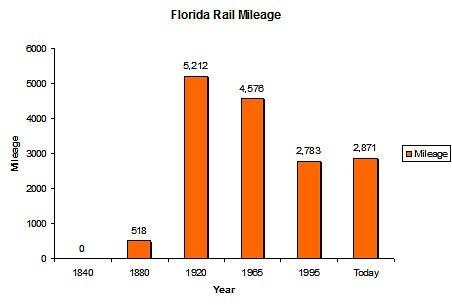 For a more in-depth look at Florida in terms of rail mileage over the years please refer to the table below. As you see, during the state's peak years with trains it featured a rail network consisting of more than 5,200 miles. However, today that number has fallen under 2,800 miles, or about a 45% decline. This number is not that unusual and quite consistent with what many other states have lost since the golden years of the 1920s. The Southern Railway's Florida operations were limited only to the northeastern corner of state where it reached Jacksonville (although it did extend as far south as Palatka). Likewise, the Frisco and Louisville & Nashville only reached the extreme western regions of Florida. However, the Atlantic Coast Line, Seaboard Air Line, and Florida East Coast had extensive operations in the state and made up the majority of its trackage. The FEC is the state's most well known railroad and still in operation as a Class II, regional. It has not changed much since it began services in the late 19th century, operating a main line along the Atlantic coast between Jacksonville and Miami, which along the way served such well known locations as Daytona Beach, St. Augustine, Fort Lauderdale, and New Smyrna Beach. The railroad also once had a few small branches serving Benson Junction, East Palatka, and Lake Harbor (the latter of which is still in use). It's most famous extension was to Key West via its Key West Extension. Unfortunately, the 1935 Hurricane ransacked this line and today what is left is mostly used as fishing piers. The Atlantic Coast Line operated all over the south between Richmond, Virginia and Birmingham, Alabama. Its lines in Florida reached Jacksonville, Copeland, Naples, Lake Harbor, St. Petersburg, Gainesville, and numerous other western cities in the state. Most of the ACL's lines were concentrated in central/western Florida and were thanks to its takeover of the Plant System in 1902. This railroad was named for owner Henry Plant, who was the mastermind behind its creation. It began with the Savannah & Albany Railroad, chartered on December 25, 1847 and later became the Savannah, Albany & Gulf Railroad in 1858. The railroad would stretch throughout southern Georgia and northern Florida. After successfully purchasing several other smaller systems Plant renamed his company the Savannah, Florida & Western Railway. The SF&W would likewise go on to purchase or control several smaller systems before itself was taken over by the ACL in 1902. The Seaboard Air Line was a smaller company than the ACL although it provided its counterpart stiff competition for many years. Interestingly enough, the railroad dated back to the Portsmouth & Roanoke Rail Road of 1832, which was chartered to connect Portsmouth, Virginia with Wheldon, Virginia. By the late 19th century the SAL reached Florida and would serve such cities as Jacksonville, Tallahassee, Miami, St. Petersburg, Fort Myers, Sarasota, and others. Today, many of the former ACL and SAL lines continue to play an important role in the CSX system. Along with CSX, Norfolk Southern, and the FEC, Florida is home to several shortlines. These include the Florida Central, Florida Midland, Florida Northern, Port of Manatee Railroad, Bay Line Railroad, First Coast Railroad, Florida West Coast Railroad, Georgia & Florida Railway, Seminole Gulf Railway (which also offers excursion train services), South Central Florida Express, Inc., Talleyrand Terminal Railroad, and the Apalachicola Northern Railroad. 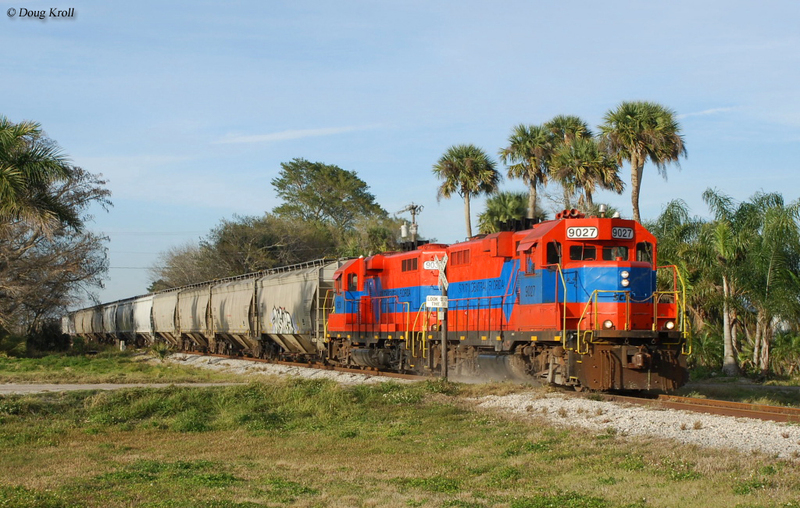 Freight trains aside, Florida is also jumping on the commuter train bandwagon. Most recognized is Tri-Rail, a 72-mile commuter railroad that serves Miami, Fort Lauderdale, and West Palm Beach and currently dispatches 40 trains a day. 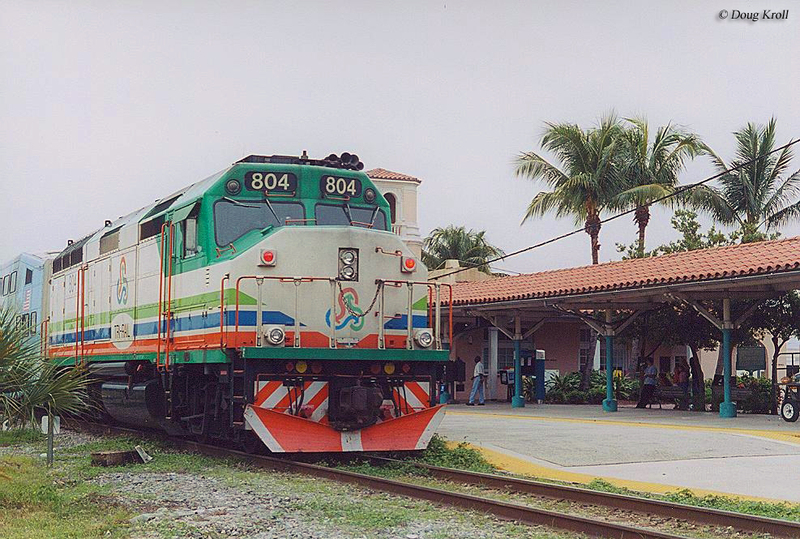 The railroad also connects with another commuter system, the Miami-Dade Transit Authority's Metrorail system which is a 22-mile system serving Miami. Amtrak also has a significant presence in Florida. It's Silver Meteor and Silver Star trains terminate in Miami and Auto Train serves Sanford. Passenger and freight rail aside Florida includes a host of museums and tourist lines. These include the Central Florida Railroad Museum, Flagler Museum, Florida Gulf Coast Railroad Museum, Gold Coast Railroad Museum, Largo Central Railroad, Railroad Museum of South Florida's Train Village, Seminole Gulf Railway, Southwest Florida Museum of History, Tampa & Ybor City Street Railway Society, and Winter Garden Heritage Museum. 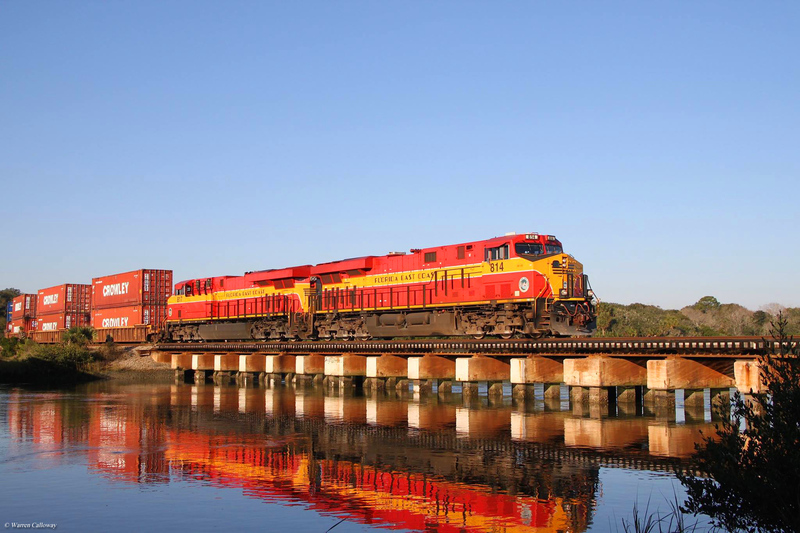 All in all, Florida railroads offer plenty in the way of variety for either the railfan or vacationer simply looking for something interesting to see and do. Besides just the beaches, sunshine, shopping, and entertainment the Sunshine State is worth the trip to see its railroads.